Enter the Cranberry Friendsgiving Photo Contest! Wareham, MA, October 16, 2017 – To kick off the holiday entertaining season, the Cranberry Marketing Committee (CMC) is launching its annual #FriendsgivingCranberryContest – with a twist. 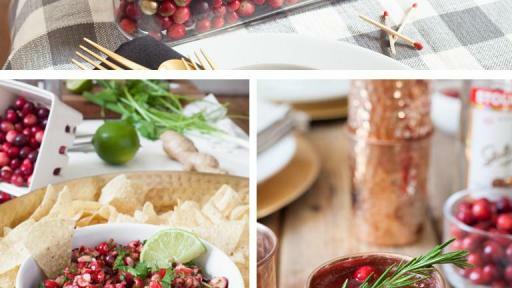 In honor of the ever-expanding tradition of Friendsgiving – a festive gathering of friends and food – the CMC contest calls upon entrants to share their inspirational Friendsgiving moments using cranberries in creative and unconventional ways. New this year, Friendsgiving fans everywhere can join the fun by voting for their favorite entries to secure them a spot in the semifinals – so let the cran-demonium begin! The Cranberry Friendsgiving Photo Contest runs from October 16 through December 18, and offers $4,000 in prizes for the most innovative uses of cranberries in Friendsgiving food, drinks and décor. Participants upload their entries on CranberryFriendsgiving.com and share them on social media using #FriendsgivingCranberryContest. Friendsgiving is becoming the must-attend social event of the season. Millennials are cooking up new holiday traditions by transforming formal dinner parties into Instagram-able potlucks, serving creative dishes with items like turkey meatballs and sophisticated cranberry cocktails. Millennials are embracing Friendsgiving in their own unique way and the celebration continues to take center stage each season on social media. Cranberries provide all the trimmings for the perfect holiday meal. 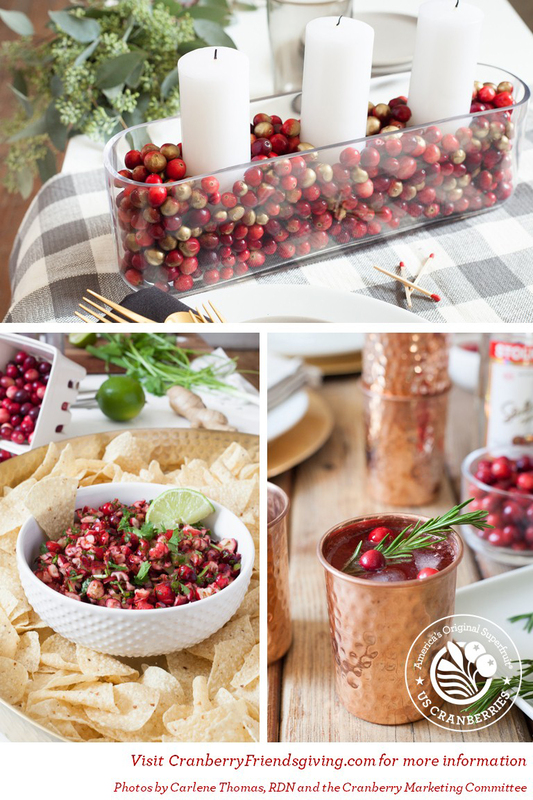 According to a 2016 survey, one-third of millennials couldn’t imagine Friendsgiving celebrations without cranberries.1 The CMC’s new Guide to Entertaining with Fresh Cranberries equips hosts and party-goers alike with creative recipes and ideas for decorating with cranberries. With so many forms of cranberries – fresh, frozen, dried, juice or sauce – the creative options are endless. You’re Invited to a Friendsgiving Twitter Party! To cran-hance the cran-talizing Friendsgiving festivities with America’s Original Superfruit®, the CMC is partnering with influential Friendsgiving hosts who will share their original and inspirational cranberry recipes and decorations on social media. To exchange tips and tricks for throwing the most memorable and Instagram-worthy Friendsgiving, join the #FriendsgivingCranberryContest Twitter Party on November 9, 2017 at 7 pm (EST). 1. Survey conducted by the Cranberry Marketing Committee and Kelton Global, 2016. The CMC was established as a Federal Marketing Order in 1962 to ensure a stable, orderly supply of good quality product. Authority for its actions are provided under Chapter IX, Title 7, Code of Federal Regulations, referred to as the Federal Cranberry Marketing Order, which is part of the Agricultural Marketing Agreement Act of 1937, as amended. This Act specifies cranberries as a commodity that may be covered, regulations that may be issued, and guidelines for administering the programs, and privileges and limitations granted by Congress. For more information about the CMC, visit uscranberries.com, or follow @uscranberries on Twitter, Instagram, Pinterest and Facebook.